Veetman guides the listener towards understanding the essentials of meditation and a clear awareness of the nature of desires. The "knack" of meditation; stillness, acceptance, non-judgemental awareness, disidentification from the restless stream of thoughts. 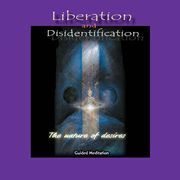 This meditation is also about the fact of impermanence, and fosters an understanding how identification with desires is a main cause for misery and restlessness, and how we can get the "knack" of disidentification. The ability to watch desires is a door to freedom and to resting joyfully in the present moment. This meditation contains many gaps of silence which support your conscious inquiry. Being in the present moment is the only opportunity we really have to participate fully in life, and to be nourished by it. Being present in the here and now we find inner strength,relaxation, and liberation from constant projections into the future or dreams about the past. Postponement is one of the patterns of the mental ego to miss life and fulfillment. The existence of the ego is based on misery and imagined separation. Desire,it´s nature and function is a mysterious and sometimes painful aspect of human life and death. Desires often destroy beautiful moments and remain a source of frustration, if we don´t understand their nature and how the mechanism of the mind to grasp creates suffering. Meditation only unfolds its fragrance if it is practised regularly. The effects of meditation : peacefulness, wholeness, presence, relaxation, inner balance and compassion, only unfold if it becomes an integral part of daily life.